Learn How To Make Friends With Leo! The king of the zodiac loves to stay in the center of everybody’s attention and needs to be praised as often as possible.  If you want to befriend a person of the sign, you will have to stroke their ego on a regular basis noticing every single change in their hairstyle or clothes. Inattention to detail is self-defeating for those who want to become closer to Leo! These things work in both directions, though. Lions hate sloppy manners so you need to be presentable. Another important factor is generosity that Leo people demonstrate whenever possible. They don’t like tightwads and will soon unfriend you if you frequently forget your wallet at home or refuse to tip. Can you confide in Leo?